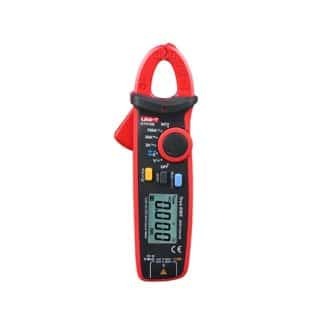 The UNI-T Standard Digital Multimeter Tester UT39E is a feature rich digital multimeter complete with plug-in lead and holster, able to test AC/DC voltage, DC current and resistance. The UT39C multimeter uses a large range of integrated circuits with double integrated A/D converter as its core and has full range overload protection. 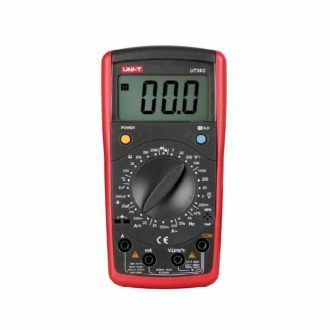 The UT39C is a 3 1/2 digit multimeter with steady operation, fashionable structure and highly reliable hand-held measuring instrument.